It is one of the most happening points in Thimphu. It is locally named Buddha Point but the actual name is Kuensel Phodrang. It is called the Buddha point because the largest statue of Buddha in the country sits there. The 51.5 meter bronze statue is three storied with several chapels. 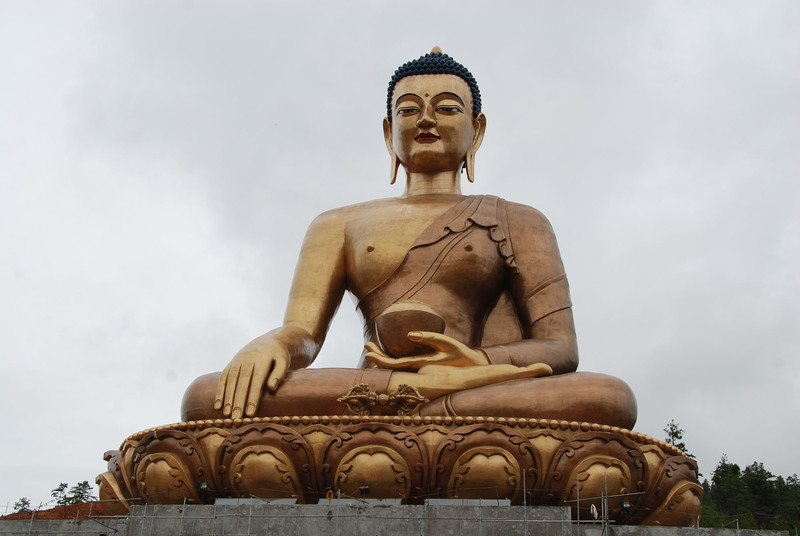 The body of Buddha is filled with 125000 smaller statues of Buddha. The well paved road leading to the Buddha is mostly used for drives, cycling, jogging and walk apart from those who go there to pay homage to Buddha. The night view of Thimphu from this point is ravishing and magical.